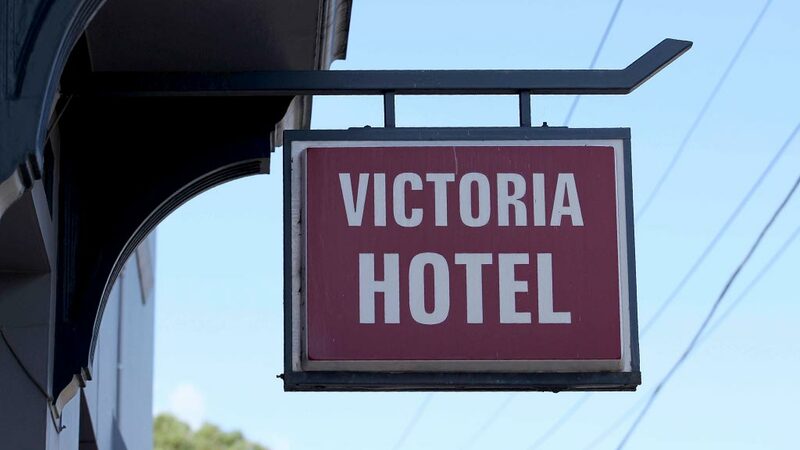 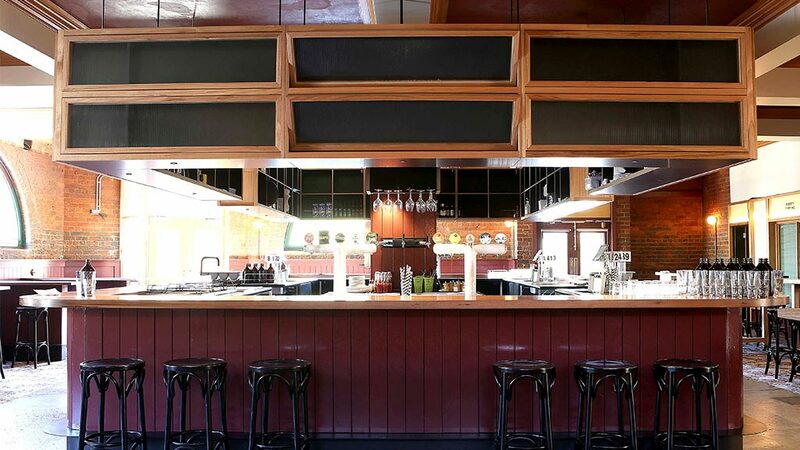 The Victoria Hotel is located in Melbourne’s inner-west suburb Footscray. 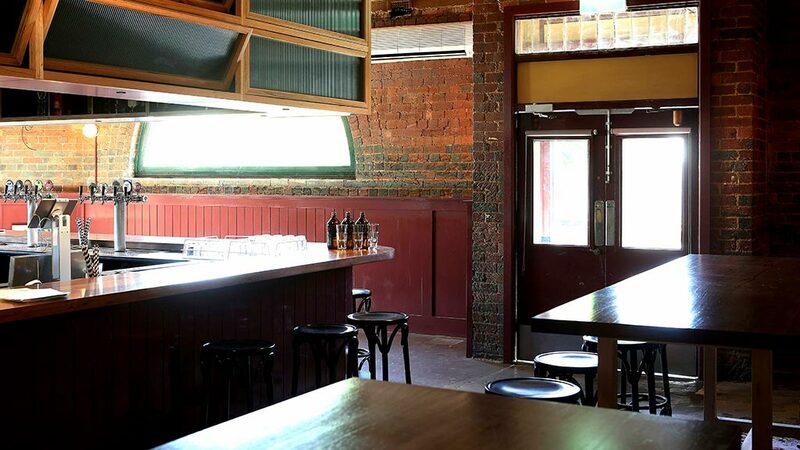 Owners of the award-winning Builder’s Arms in Fitzroy took over the pub, reopening in December 2017 with a modern look which nods to its original eclectic charm. 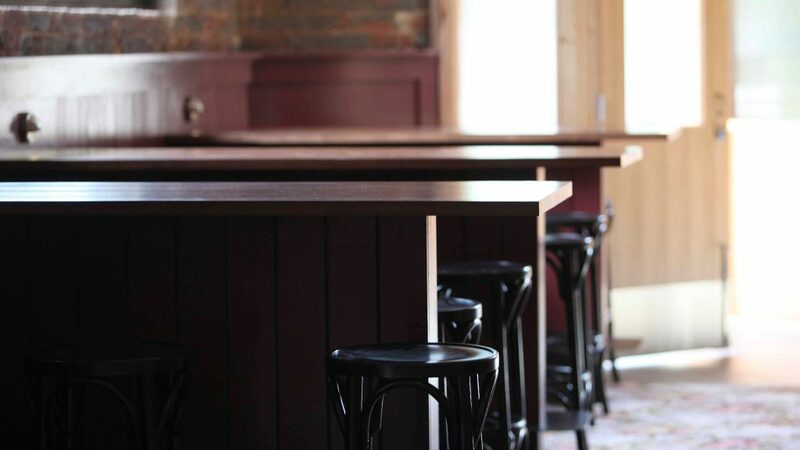 We worked closely with the architects, construction managers and other integral trades to ensure successful and timely delivery of all timber elements in this refurbishment project. 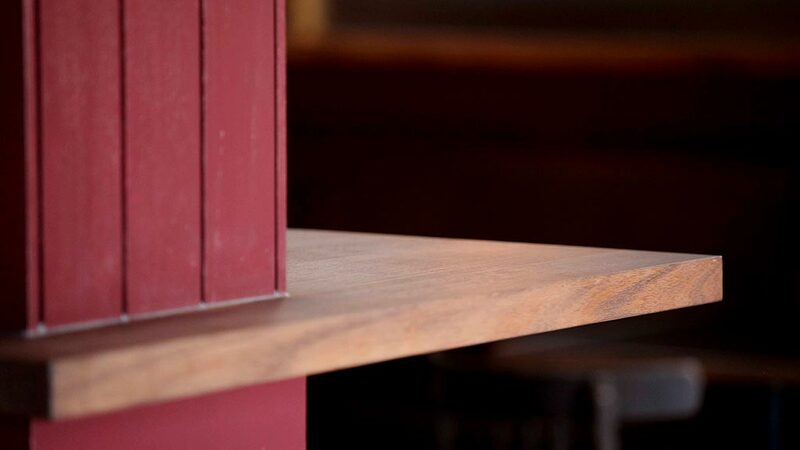 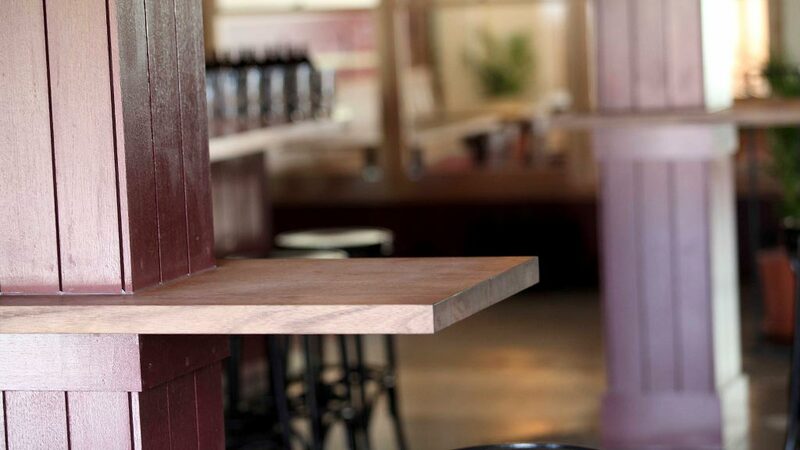 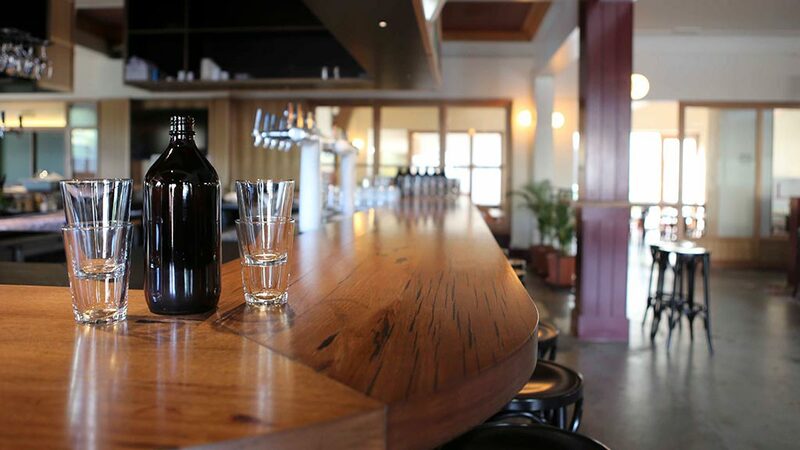 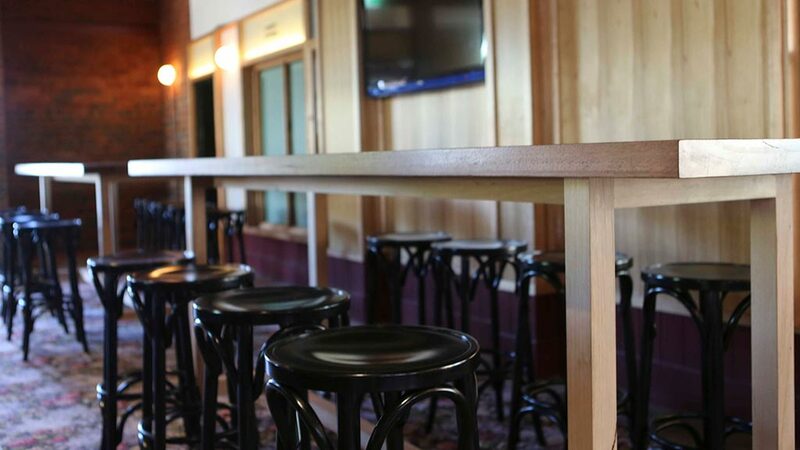 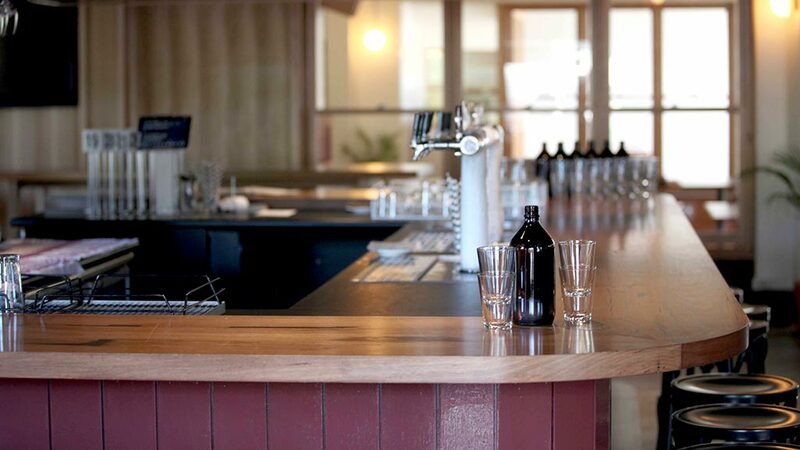 Recycled messmate blend from the Tottenham Munitions Stores for standing tables, floating tables on pillars and the large curved bartop.